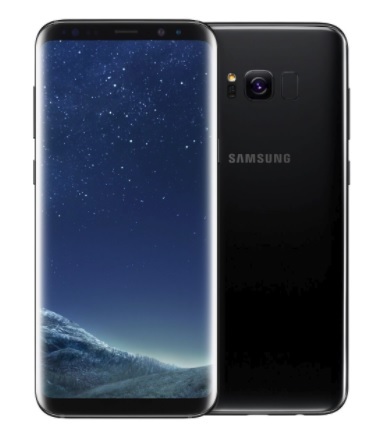 Competition is ratcheting up among Android phone makers, but nothing topped the Galaxy 8 this year as Samsung tweaked the design of its flagship Galaxy and increased screen quality and processing power to deliver a winning handset. The Huawei 10 Mate Pro came close – look for that to feature as we round out our 12 Gadgets of Christmas. There was a lot riding on the launch of the Galaxy 8 and the more recently released Note 8, following the flaming debacle of the Note 7 battery issue. These new phones needed to be great – and they are. The 8’s design masterstroke involved removing most of the bezel around the screen to deliver more screen real estate without having to make the phone significantly bigger. The joy of first experiencing the S7 Edge, with its curved, wrap around screen, returns with the S8 models incorporating it as a standard feature. The home button is now gone leaving virtually uninterrupted screen space, bar a small line of trim to accommodate the speaker and front facing camera. The screen itself is stunning, bright enough to display videos with high dynamic range – an image-enhancing TV technology that is now coming to smartphones and debuting in a smattering of Netflix and Amazon Prime shows. Usually the focus with smartphones is on the Holy Trinity of screen display, camera and battery life. The S8’s screen is spectacular, but the camera is much the same as the S7 and battery, Note 7 nightmares still fresh, hasn’t increased in size. But there are plenty of impressive features – from the facial recognition for phone unlocking, which has improved greatly since first appearing in to the Note 7, to wireless and fast charging. Still, the bells and whistles add up – these are Samsung’s most expensive phones yet. The puzzling inclusion is Bixby, Samsung’s version of Apple’s Siri virtual assistant. Bixby even has its own hot button on the Galaxy’s side. But Bixby is a shadow of Siri and Google Assistant, which is still available on the S8 and a far better option. Bixby will search photos you take and digitize text or perform web searches based on the images it captures. It has promise but here is clunky, first generation stuff. Where the S8 really shines is in its understated, elegant design, its user interface features like Apps Edge and People Edge which appear with a simple swipe from the side and with that fantastic screen. Samsung can bask in its glow for now.